Hi @vgon_alves, sorry about that. I fixed and ran the simulation again, but it still fails after 31 minutes. @jousefm Same issue indeed with the other user. 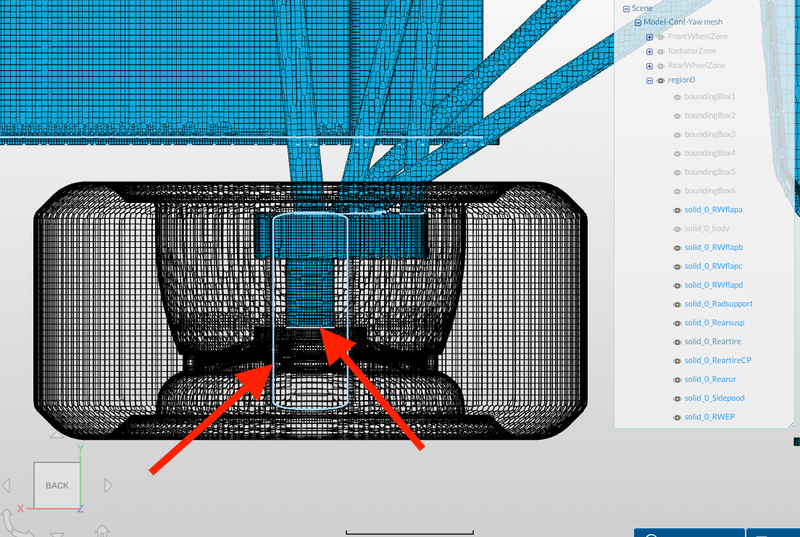 Issue with the CAD model? The meshing isn’t being very cooperative. @ricardo_3282 the issue lies with the illegal cell count as you can see below. Anything over around a 100 or so illegal cells is sure to at the very least make your simulation unstable. As I’ve mentioned earlier, another user had the same issue but it has proven rather tricky to get the count down low enough. Will get back to you when a solution is found. I do not think that this is necessarily related to the CAD but rather to the mesher - but that’s something I would have to confirm first and really make sure it is not the CAD. In my experience, this kind of error occured when some much different boundary conditions touched each other. The cause of those wrong conditions often existed between a wheel and a hub/upright system. In @ricardo_3282 's simulation, I found some much different boundary conditions seem to touch each other as shown below. So I make 2 proposals as below for now. Hi @yosukegb4, I’ll try them, thank you very much.